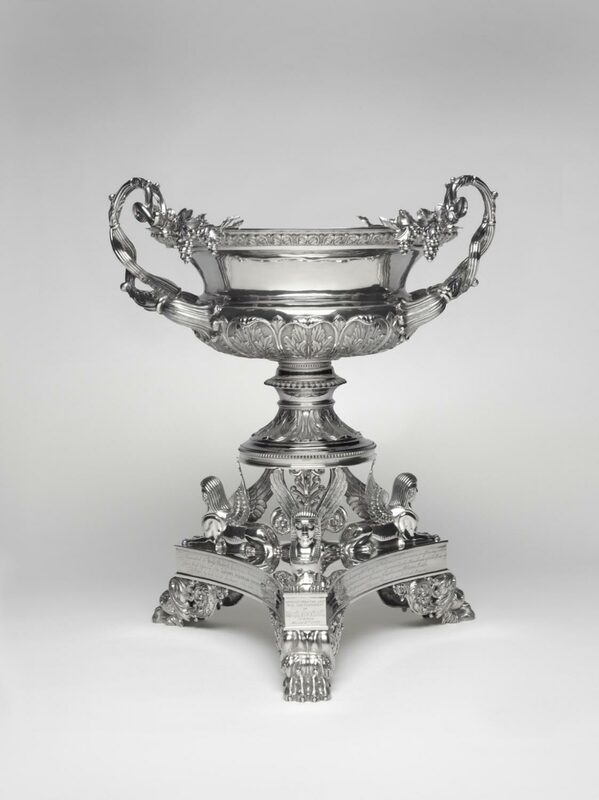 Thomas Fletcher, American, 1787 - 1866. 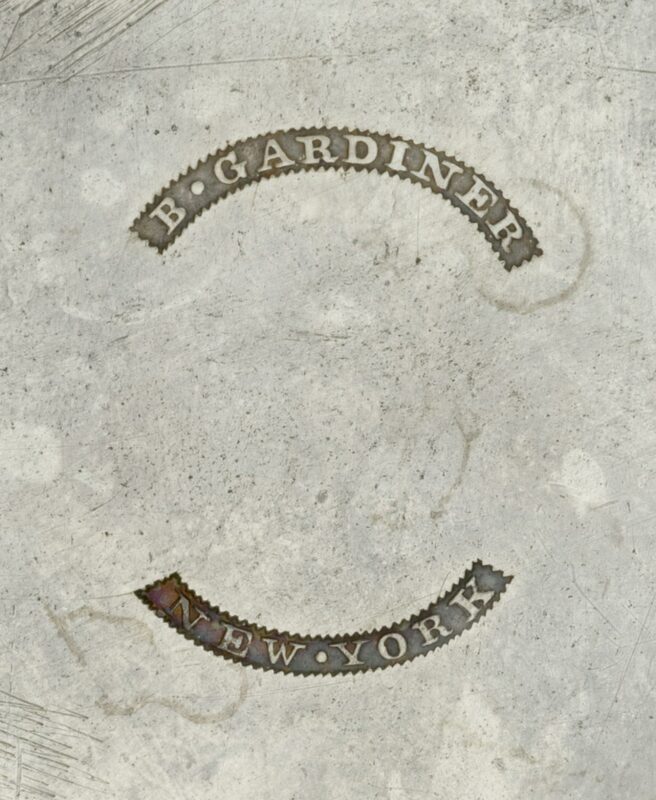 Retailed by Baldwin Gardiner, American, 1791 - 1869, active Philadelphia 1814-17, New York 1827-46. 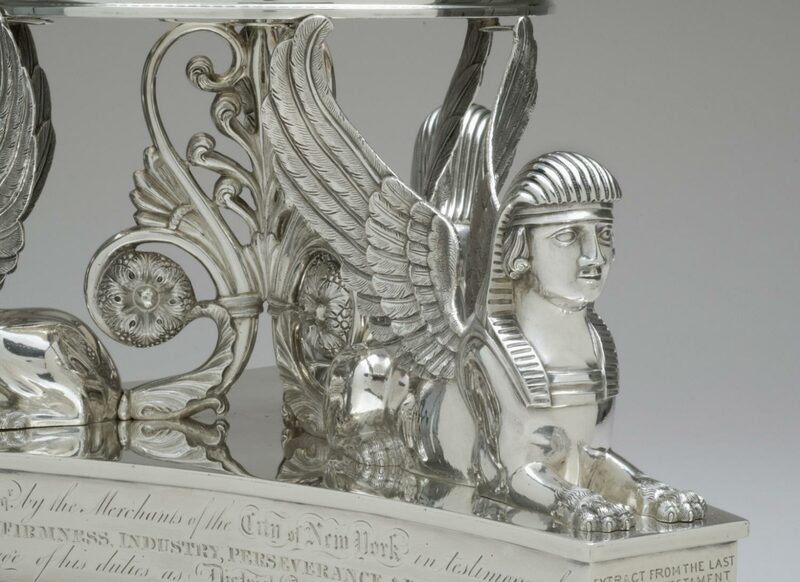 This vase was presented to New York City District Attorney Hugh Maxwell (1787-1873) by merchants grateful for his prosecution of corrupt directors of the New York Stock Exchange. 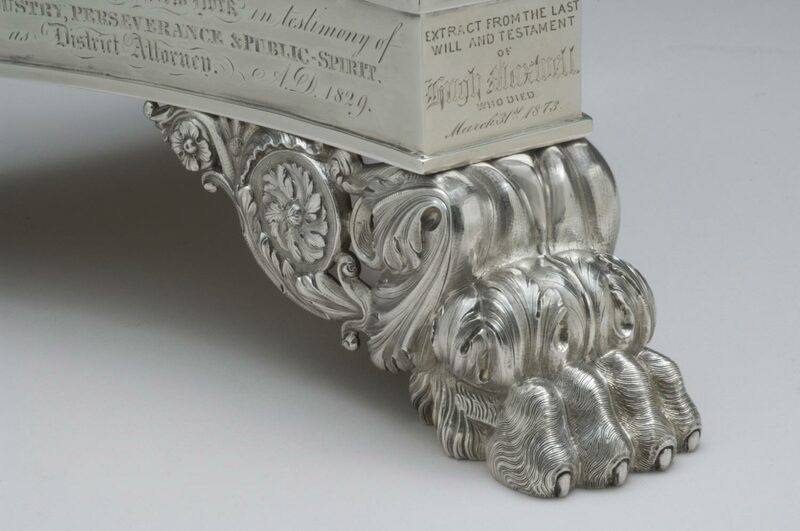 Charged with this commission, retailer Baldwin Gardiner secretly contacted Philadelphia silversmith Thomas Fletcher: "None of the silversmiths here know that I have the order, as several of them would drop the hammer for me if they knew that I sent to Philad[elphia]." 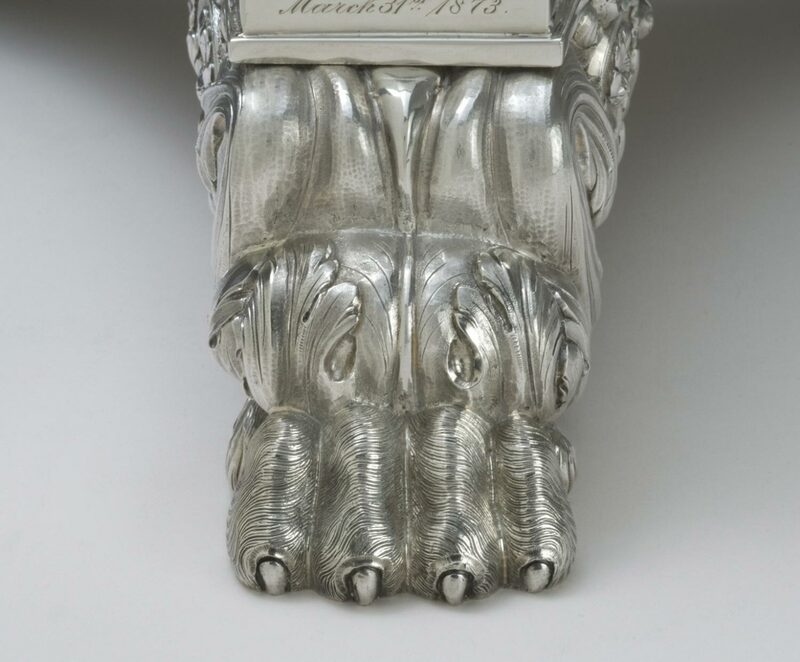 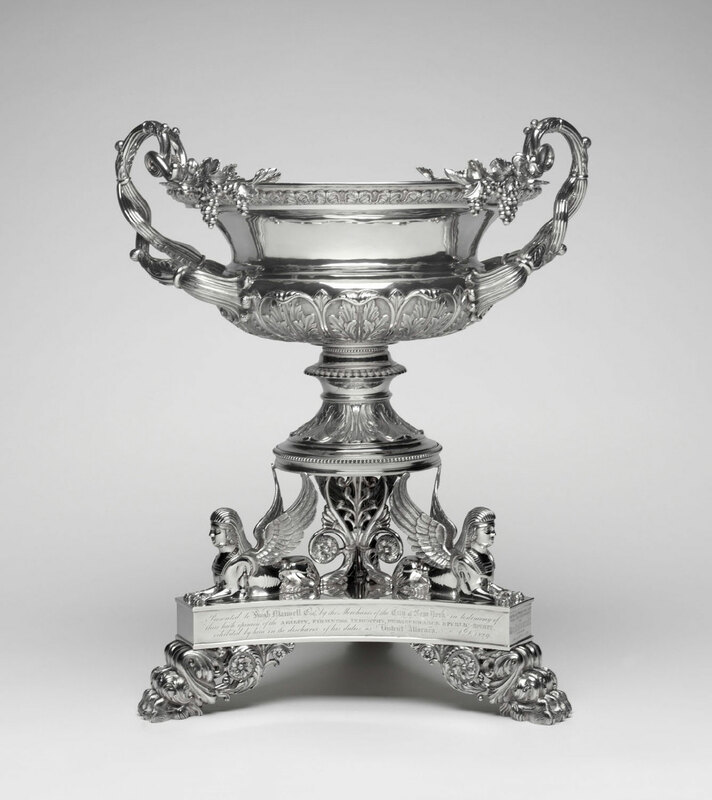 Fletcher responded with one of the largest and most spectacular statements of the Classical Revival style in American silver.